Product prices and availability are accurate as of 2019-04-09 18:53:36 EDT and are subject to change. Any price and availability information displayed on http://www.amazon.com/ at the time of purchase will apply to the purchase of this product. Do you continually find yourself at the store without a bag? 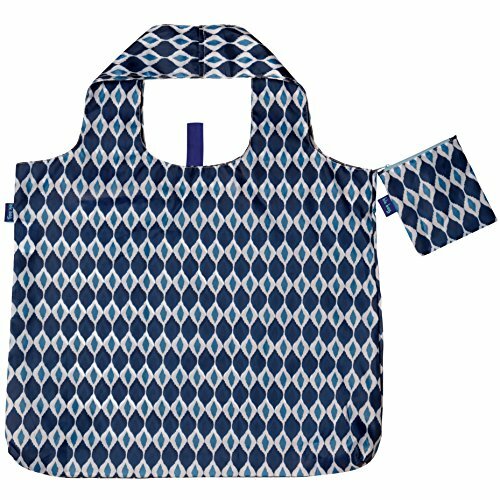 Here's a stylish solution - our blu bag reusable shopping bag. Each bag holds up to 50 lbs, and can either be rolled up or stuffed into a stuff sack for easy storage - never be without a bag again! It is also washable! 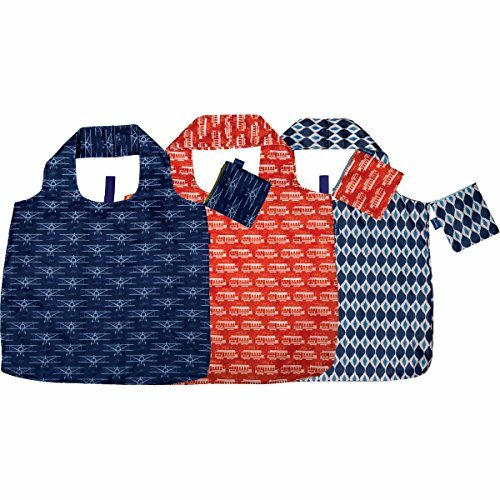 Sold in set of 3 with zip top storage pouch. 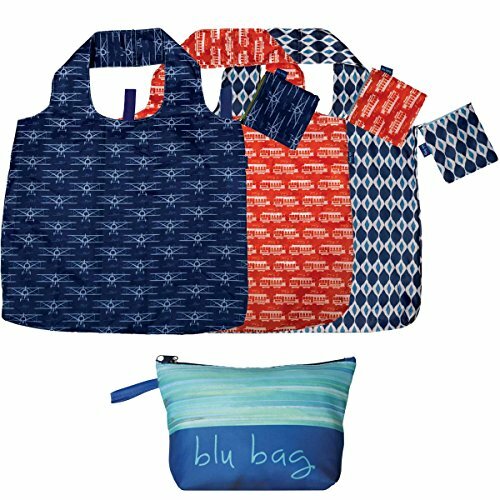 We call our bags blu bags, because every bag that is bought will help keep the oceans blue. 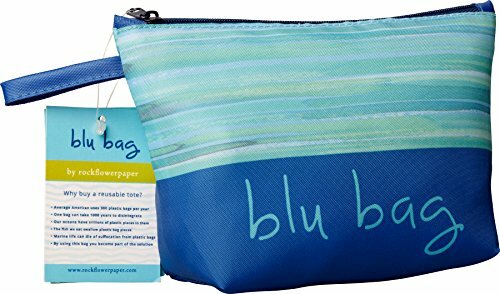 Since we contribute 20 cents to Ocean Conservancy with every bag sold, everyone who picks up one of these everyday essentials will be doing their part to help the environment. Caring about our planet has never looked so good! Think of the gifting possibilities - as a stocking stuffer, party favor, or teacher gift for the conservationists on your list! The average American uses 300 plastic bags per year, and each bag can take 1,000 years to disintegrate. 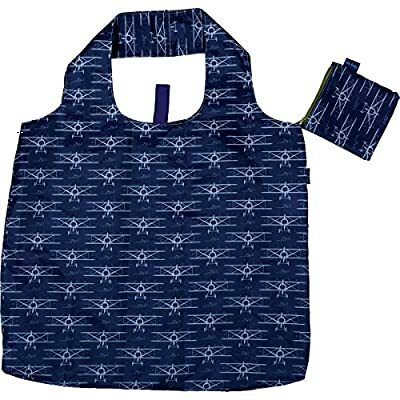 By using this bag, you can be part of the solution! Rockflowerpaper brings the essence of nature home. We are based in the San Francisco Bay area and love transforming proprietary art and design into sophisticated, strong and colorful products that are well priced, tasteful and of a very high quality, inspired by our travels to India, Vietnam, the South of France, and London. Our products include round, square and rectangle serving trays, weekender travel bags, Turkish beach or bath towels, table placemats, drink coasters, canvas tote bags, crossbody and carryall shoulder bags, scarves, jute containers, and more! It all works together to make a beautiful statement.